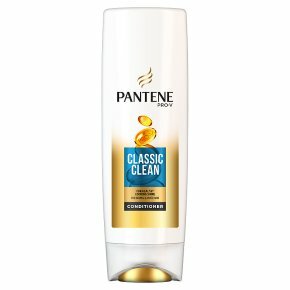 Pantene Pro-V Classic Clean Conditioner nourishes your hair and leaves it easy to manage. For beautifully healthy-looking, shiny hair from the first wash, from root to tip. Provides balanced nourishment for normal to mixed hair. Brings out healthy-looking shine. Leaves hair free-flowing and easy to manage. For normal to mixed hair.Pantene Pro-V Classis Clean conditioner fuels hair with Pro-V Nutrients to strengthen it from root to tip, leaving it beautifully healthy looking.